General Mills, which owns the Yoplait yogurt brand, filed the suit [PDF] Sunday in U.S. District Court in Minneapolis, accusing Chobani of false advertising. 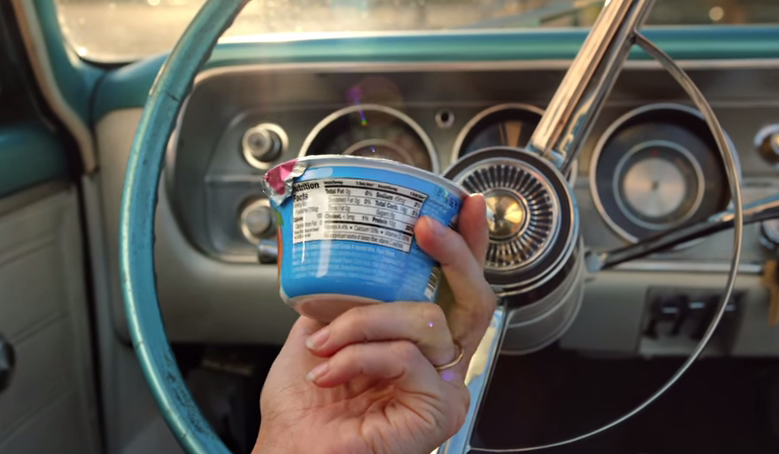 The ad campaign, which debuted Jan. 6, includes TV commercials, print advertisements in major newspapers, coupons, and a presence at fitness gyms that target other yogurt brands with similar 100-calorie options, including Yoplait and Dannon. “The television commercial that leads the Chobani attack campaign goes so far to convey that, because Yoplait Greek 100 is laced with a pesticide, it is so dangerous and unfit to eat that consumers should discard it as garbage,” the suit states. The narration then continues, “Really?! That stuff is used to kill bugs!” During this exchange, the woman’s face is pinched in a look of disgust as she further examines the Yoplait container; she then flings the container into the garbage. General Mills contends that Chobani falsely claims that Yoplait is “toxic” because it contains potassium sorbate, a fungicide-like preservative that prevents yeast and mold growth. “General Mills is informed and believes that there is no scientific evidence that potassium sorbate is effective against insects,” the company said in the suit, noting that potassium sorbate is considered safe by multiple federal agencies, according to the lawsuit. General Mills claims in the suit that it has spent more than $900 million in marketing and advertising for its Yoplait products in the past five years and that Chobani’s campaign could do irreversible damage to the brand. General Mills’ lawsuit comes less than a week after Dannon threatened to sue the company over claims that its Light & Fit product contains sucralose, an artificial sweetener processed with “added chlorine,” the Star Tribune reports. Before Dannon could head to court, Chobani sued the company in New York federal court asking for a declaration that its claims don’t constitute false and deceptive advertising. Dannon promptly countersued. Peter McGuinness, Chobani’s chief marketing and brand officer, told the Star Tribune in a statement on Monday that he wasn’t surprised by the General Mills or Dannon lawsuits.